His mother didn’t know that “her Omar” had been working as an undercover historian, documenting atrocities committed by the Islamic State group inside Mosul. But she wasn’t totally surprised when her son told her his secret. 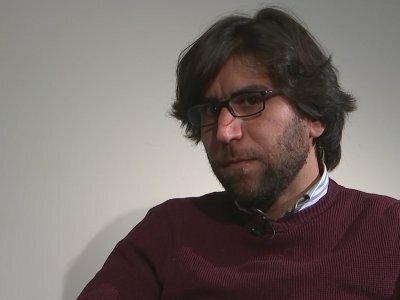 Omar Mohammed, 31, disclosed in an Associated Press story Thursday that he is the man behind the legendary and widely read Mosul Eye, the pseudonym under which he wrote the catalog of horrors that was life under Islamic State fanatics. After Mohammed told tens of thousands of Twitter and Facebook followers that he was Mosul Eye, post after post thanked him, blessed him and welcomed him with a single word: Hero. But over three years, his double life grew too heavy to bear. His secrets consumed him, sapping the energy he needed to work on his doctoral dissertation and to help Mosul rebuild. In face-to-face conversations with AP reporters over the course of two months, he agonized over how to end the anonymity. He received scores of media requests, and on Facebook and Twitter, his fans poured out their feelings. Mohammed decided to reveal his identity for his thousands of readers and followers, for all his volunteers in Mosul who have been inspired by a man they have never seen. But above all, he did it in memory of his older brother, who died in the final battle for the Iraqi city, and for his grieving mother. “I can’t be anonymous anymore. This is to say that I defeated ISIS. You can see me now, and you can know me now,” he told AP. Mohammed first posted about the Islamic State group under his own Facebook account, in the first few days after its fighters swept into the city, but a friend warned him he risked being killed. A newly minted teacher with a reputation for secular ideas, he lost his university job when IS took over. On June 18, 2014, he became Mosul Eye. His motto: Trust no one, document everything. “My job as a historian requires an unbiased approach which I am going to adhere to and keep my personal opinion to myself,” he wrote on that first day. Mosul Eye became one of the outside world’s main sources of news about the Islamic State fighters and their transformation of the city into a grotesque shadow of itself. Much of what he collected went on the blog. Other details he kept in his computer, for fear of blowing his cover. Someday, he promised, he would write history with them. Mohammed’s information sometimes included photos of the fighters and commanders, complete with biographies surreptitiously pieced together during the course of his normal life — that of an out-of-work scholar living at home. When intelligence agencies made contact with Mosul Eye, he rebuffed them. His computer hard drive filled with death, filed according to date, cause of death, perpetrator, neighborhood and ethnicity. Accompanying each spreadsheet entry was a separate file with observations from each day. “IS is forcing abortions and tubal ligation surgeries on Yazidi women,” he wrote in unpublished notes from January 2015. A doctor told him there had been between 50 and 60 forced abortions and a dozen Yazidi girls younger than 15 died of injuries from repeated rapes. Finally, he decided it was time to get out. On Dec. 15, 2015, he left with a smuggler whom he paid $1,000. Overnight, Mohammed had transferred the contents of his computer to a hard-drive that he packed with him. Once in Europe, Mosul Eye kept at his mission: via WhatsApp and Viber, from Facebook messages and long conversations with friends and relatives who had contacts within IS. By mid-2016, deaths were piling up faster than he could record. The Islamic State group was on a hunt for traitors and the airstrikes were taking an increasing toll on everyone. His records grew haphazard, and he turned to Twitter to document the atrocities. In February 2017, he received asylum in Europe.